It has been a while since I've made some goals. I looked back to see if I did January goals, and I don't think I've made any goals since November😁 Time to make some goals! I'm getting a head start on my March goals because I am glad to see February go--actually, I'm glad to see January and February go. They are my least favorite months of the year and I'm ready for spring to get here. Lent begins tomorrow and then Easter (and warm weather) will be here before we know it! What are some of your goals for March? Seriously though! 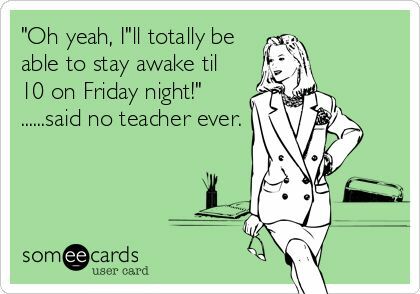 I have the hardest time staying awake on Friday nights most of the time. Today I'm sharing a few of my FAVORITES from the week! My #1 FAVORITE is having a workout buddy in the afternoons after school. I know without Hailey I would be totally lost in the weight room, so I'm really thankful she guides me on weight lifting in order to tone up. I saw this on Facebook earlier this week and laughed because it's so true!! This graphic is a FAVORITE! I try to drink a lot of water during the day in order to stay hydrated and as a result, I'm usually running to the bathroom multiple times a day. But as a teacher, I have to wait until class change and then I'm sprinting down the hall because we only have 4 minutes in between classes at my school. Isn't this dress gorgeous?! Best part? It's not as expensive as I was expecting! A gingham maxi is definitely a summer FAVORITE! Hi friends! I know I sound so much like a broken record when I say that I cannot believe that it's already time for another What's Up Wednesday post. February has gone by fast, and that is fine with me! I'm linking up with Shay for today's post! We're also eating this cheeseburger pie--another favorite in the Shaneyfelt household! Being able to have a workout buddy at the gym every day after school! We worked out a lot, and together the few times we could. And then I worked out by myself when D was at work. My church's women's ministry hosted a coffee house night with guest speaker, Brittany Price. We went on a date to watch a hockey game and ended up watching fights all night long--I loved it!! I was surprised with a sweet Valentine's Day gift early in the morning before work. I was featured on my real life friend, Erica's, blog! Growing my hair out? Does that count as something I'm working on at the moment? haha! Dustin and I are going on a beach trip with my mom, stepdad, sister, and brother in law in June. My mom booked our condo and it's pretty spacious. Then Dustin's parents are wanting to take a family vacation to Disney World in 2018, so I'm excited about all potential vacations! Reading: I quit reading Hillbilly Elegy and am looking for a new book to pick up. Shane and Shane Psalms Live album--the best! Can you tell Anthropologie is my favorite store in the entire world?! I'm not sure! Dustin is off this weekend, so I don't know what our plans are going to be. Bonus: What is my "can't live without" beauty product? I cannot live without my Laura Mercier translucent powder. I have an oily t-zone, and I use a damp beauty blender to press this powder into those zones to keep my oil free for the whole day! What can you not live without? I'm always looking to try new makeup products! Friday night I have zero pictures. After explaining to Dustin about the documentary we watched in class that day after a test, he then decided he wanted to watch it too. We sat on the couch, and I was probably asleep by 7:15 that night. I woke up when it was over and went straight to bed, and I didn't wake up for 9 hours--I was exhausted! Saturday morning I was on my friend (in real life) Erica's Saturday Sit-Down series. I have loved this series of hers and was so glad to be able to participate! Then I got ready to go to the gym--legs and abs day = still sore legs this morning. Because it was so beautiful Sunday, I wore my jumpsuit to church. I tried a new recipe for dinner and it was a winner! Y'all all need to make Egg Roll in a Bowl tonight! Dustin was off work Monday, too, so I followed him to a local auto body shop to get his truck fixed and pulled out a magazine while waiting. Anyone else tote around reading material? ...and then I forgot to take pictures of everything else. Monday was pretty much your basic off day--cleaning and catching up on things. We ended the night with a dinner date to Chick-fil-a!! Has anyone else felt like this has been the longest week in the entire world? I never thought Friday would get here, but thankfully, it is! 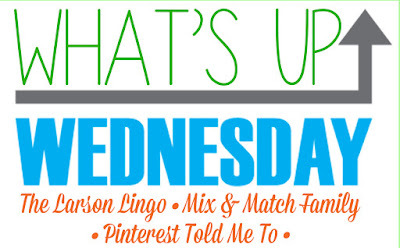 Today I'm sharing a few of my favorite things from the week! I woke up Tuesday morning to this set up on the bar. Dustin leaves for work before I wake up, but he made sure to have my present out and waiting for me! Later that evening I had to run to the pharmacy, and my sister met me there to give me 3 roses! This Valentine's Day was a FAVORITE because I was showered with surprises all day :) Plus, it reminded me how glad I am that we live in the same town and can run into each other at the pharmacy. Our plan that night was to eat at home, so I baked chicken, sautéed green beans, and roasted sweet potatoes with apples and red onions. If you've never eaten roasted sweet potatoes, apples, and red onions (with some rosemary) together then you are missing out! SO GOOD!! Here's how to make: In small pieces, chop up your sweet potatoes (peeled), red apple, and red onion. Drizzle with EVOO and stir to coat it all. Then sprinkle with salt and pepper--I use pink himalayan salt. 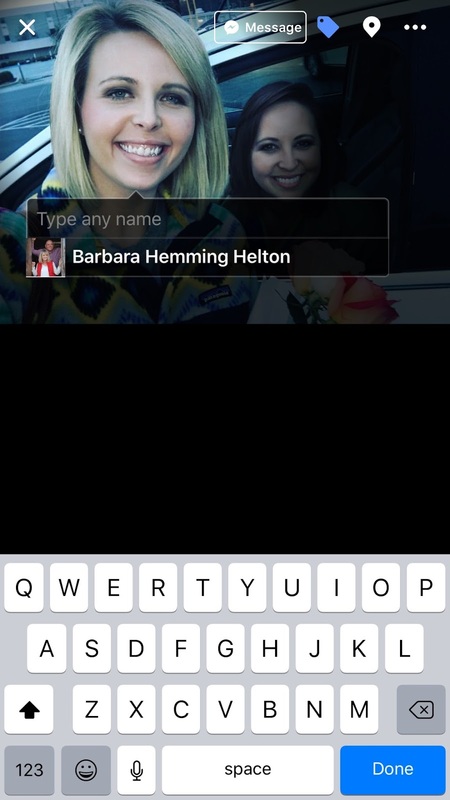 Every single time I try to tag myself on Facebook, it tags my mom. Literally all the time. Yesterday, my blog friend Emily wrote about creating a healthy lifestyle on my blog and I wrote about what to do when you lack motivation on her blog. Loved the blog swap! Happy Thursday, friends! I'm so happy that my blog friend Emily is guest posting today! I've read her blog for so long now that I can't remember when I or how I found her blog, but I do remember liking her blog immediately. And now she's become a very good friend in real life! I'm guest posting on her blog today so head over there to check it out! Hey all! 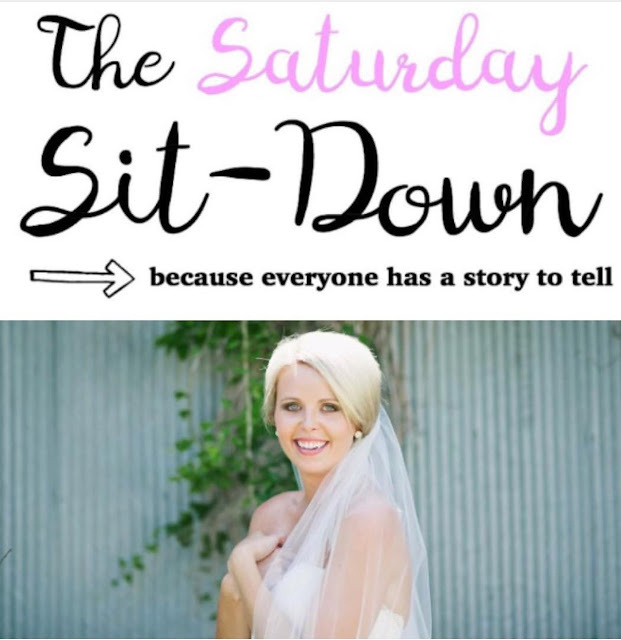 Last week Sarah had the great idea to do guest posts. We realized that after all this time of being such good blog friends, that we have yet to do one! When we were throwing ideas back and forth, she had the suggestion of writing about being healthy. 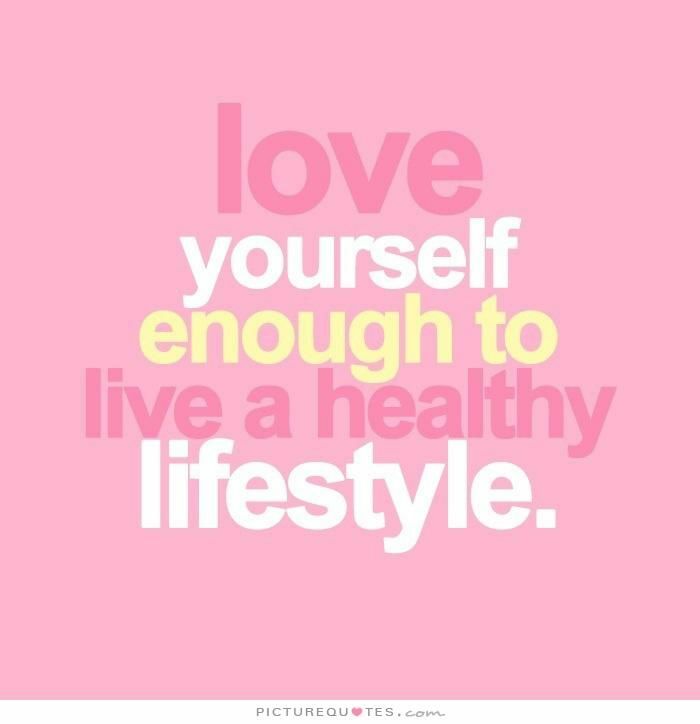 I knew that’s what I wanted to do, because that is something I have really been focusing on the last few months, not to mention I love reading posts about health and fitness myself. First, let me back up a bit and introduce myself. I am Emily, and I blog over at A Little Bit of Emily. I love to read, cook, and decorate. I started A Little Bit of Emily a little under two years ago after reading and loving so many other blogs. Being healthy and fit is something I have definitely struggled with, especially in the last few years. While I always worked out, I mostly stuck to cardio with minimal, if any, weights. My diet has never been that great. I just love food, especially not-so-great for you food! Luckily, the past few months I have been able to change that. Back in November, I started doing the 21 Day Fix. If you are looking for a great at home workout program, I can’t say enough good things about the 21 Day Fix. I shared my review after completing one round, and after completing another round, I think it still holds true. While I don't know if my actual weight has changed, I know that I am toner and feel better all around. The workouts are great, a mix of cardio and weights, but I have to say my biggest takeaways have been from the meal plan. These are things I am continuing to keep up with, even without doing the set workout program. Protein, protein, protein...and more protein. I realized I have not been getting enough protein in my diet. This has been key, because it helps me stay fuller throughout the day, and helps to fuel my workouts. For example, I will have eggs in the morning, chicken with lunch, Greek yogurt for a snack and then a protein for dinner which always varies. Lessen the carbs, lessen the cheese. It hurts my heart to write those words because carbs and cheese are two of my favorite things. For me, the key isn't to cut these out completely, but just eat less. If I tried to completely go without, then I would totally lose restraint and over indulge. Totally counter productive. I keep my meals relatively simple during the day, and then cook something I really enjoy for dinner. That's when the carbs usually come in...and the cheese. Eat your veggies. Not my favorite thing, but necessary. The best way for me to get veggies is with salad. My advice? Find your very favorite salad dressing - it makes all the difference in the world. I literally crave salads now, and I have to say it is probably due to the salad dressing (Mona's). I pretty much always have a salad for lunch, then will sometimes have one again with my dinner. They are very simple, just lettuce, red pepper, carrots, sometimes cucumbers and green olives, but goodness they are good. Meal plan and prep. Every week I take a little bit of time to go through each meal of the day, think about what I am going eat and make my grocery list. I then spend an hour or two on Sunday getting everything ready for the week. This means making eggs muffins, prepping salad, and any other meals that can be done ahead of time. Sometimes the last thing I want to do on Sunday is prep, but my week goes so much better and smoother if I do. I also take some shortcuts, like using frozen chicken strips and shredded carrots, which helps makes things a lot easier, too. Measure out portion sizes. This may seem tedious, but it's really worth it. To make it easy, I bought a bunch of smaller size tupperware containers to hold things like fruit and then chicken for my lunches. I portion food into the containers during my prep on Sunday, so throughout the week I can just grab and go, knowing I am getting the correct serving size. When I make dinner at home, I often have rice, so sometimes I will just take a measuring cup and scoop out the appropriate amount onto my plate. You will be amazed at how much food you actually get! Those are just a few things that have really helped me get back on track with being healthy, specifically eating healthy. Thanks so much for having me, Sarah! Happy Valentine's Day 😍 This isn't my favorite holiday to celebrate because my heart hurts for those who are single and long for a relationship. I've been there and I remember how that feels. Just know that God has placed you in this season of life for a reason and trust in Him to provide exactly what you need, so make the best of your singleness and don't waste this season of life. 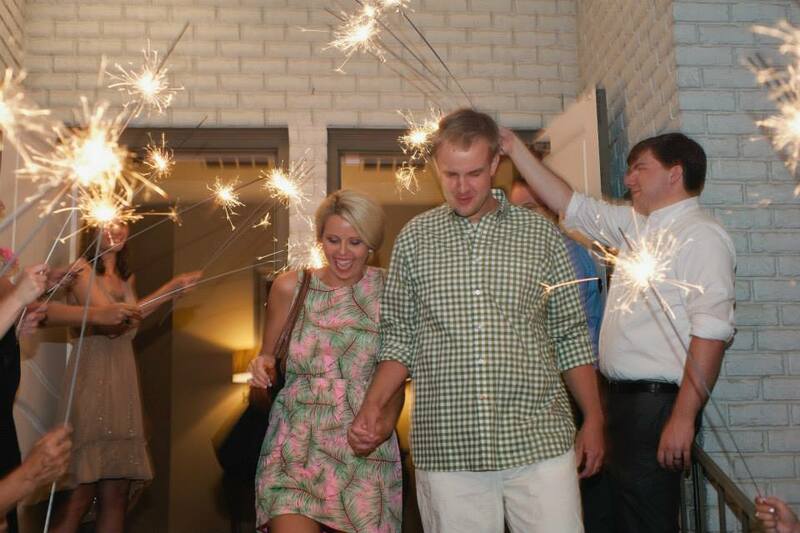 Now onto today's post--all about DUSTIN! 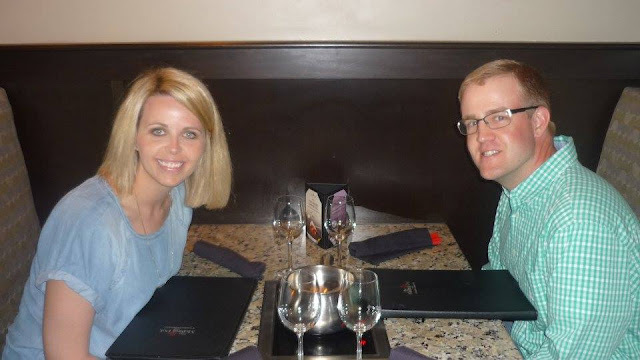 To read about how we met (hint: blind date), click here. I am so thankful that the Lord brought me Dustin because we are exactly what the other person needs. Where I'm late, he's on time. Where he's messy, I'm super organized. We balance each other out and have lots of fun together. He encourages me to do anything I want because he genuinely believes I will succeed. I can always count on him to be my biggest supporter. He believes I'm a great cook and brags about my cooking to other people. When he laughs hard, he has the funniest laugh. He left behind a job he loved and one that fit perfect for his college degree (wildlife science) in order to move back home for us to get married. Even though I offered to move to Mississippi, he valued my job over his and didn't want me to leave the school system I work in. I love that he's really outdoorsy and very masculine. He provides for us--not only in finances but also food ha! We have a deep freezer full of 2 deer plus some meat left from a deer killed at the beginning of the season. Our interior decorating style is VERY different, but Dustin trusted me enough to let me pick out everything in our house. And now he really loves it--maybe not the cream furniture but it all looks good haha! I love that Dustin is passionate about sports. Not only is very knowledgeable about all sports, but he also likes to play sports too. Like when we bought a wiffle ball set this past summer just so we could practice pitching to each other in the backyard. I love that we enjoy going new places together and trying new restaurants to eat. Dustin thinks I'm the best teacher in the world--he's never seen me teach, but he still believes that I'm the best ha! I love that we have LOTS of fun together! We're always laughing in our house and when we go out places. And I couldn't leave out a picture of #wheredustinsleeps--I love that Dustin can fall asleep anywhere and at any time, and the fact that he doesn't get mad when I take pictures of him sleeping and post on social media. -He was a senior in high school when I was a freshman in the same high school. -Our birthdays both fall on the 25th of the month. -He's 6'3" and I'm 5'7" so I will always be able to wear heels around him. -He tries to use big words sometimes in conversation and then doesn't get mad when I call him out about it being used in the wrong context. Weekend Recap: Super Bowl Weekend!